Procross/Proclimb billet rear axle track adjusters - Grip N Rip Racing LLC. 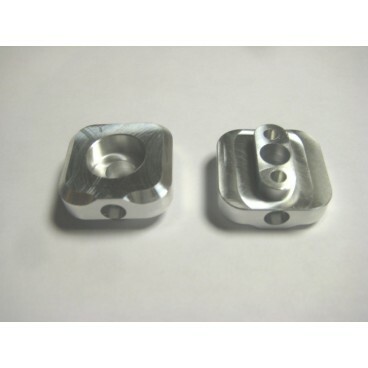 NEW billet aluminum rear axle track adjuster blocks for the 2012-2013 Procross/Proclimb chassis. Easy installation. Remove the axle bolt and washer, pull the rail towards you and remove the stock adjuster. Slide the billet adjuster in it's place and reinstall the bolt and washer.